Some hate them, some don’t understand them, some love them. 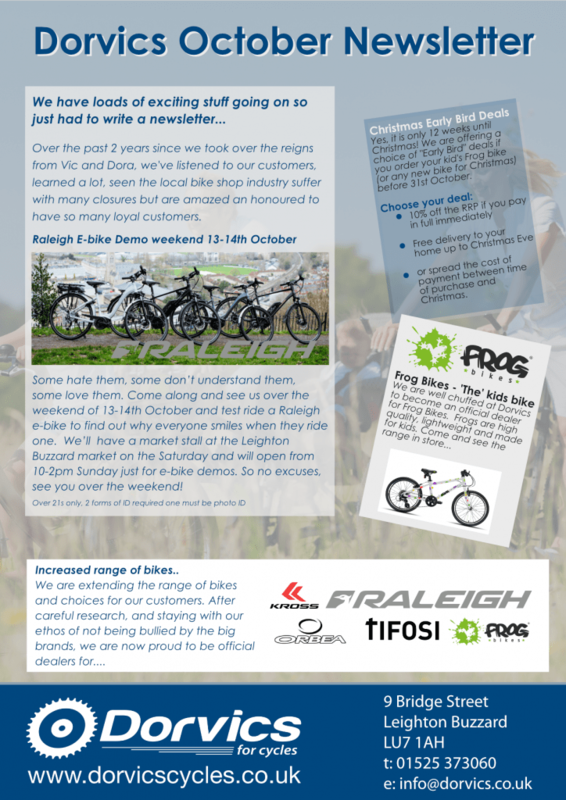 Come along and see us over the weekend of 13-14th October and test ride a Raleigh e-bike to find out why everyone smiles when they ride one. We’ll have a market stall at the Leighton Buzzard market on the Saturday and will open from 10-2pm Sunday just for e-bike demos. So no excuses, see you over the weekend! Yes, it is only 12 weeks until Christmas! We are offering a choice of “Early Bird” deals if you order your kid’s Frog bike (or any new bike for Christmas) before 31st October. or spread the cost of payment between time of purchase and Christmas.